The highlight of this wonderful cruise from Aberdeen aboard Marco Polo will be the three days spent in colourful Reykjavik. 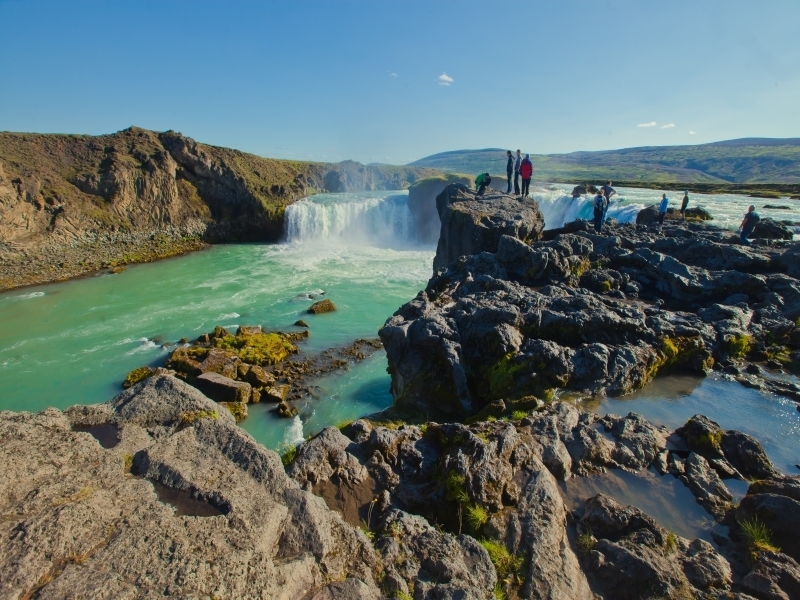 While here you’ll have the chance to explore the Icelandic capital, and to head into the pristine, volcanic interior of this stunning Land of Fire and Ice in search of the Aurora Borealis. Calls at remote island outposts in Shetland, the Faroes and Orkney add to the pleasure. Begin your cruise with a few days discovering the natural beauty, ancient history and culture of Shetland and the Faroes as Marco Polo calls in Lerwick and Torshavn. A passage through waters teeming with marine life brings you to Reykjavik, where geothermal pools, bubbling geysers and spectacular waterfalls dot the landscape around the lively city. Scan the night skies for the Northern Lights, and don’t miss the chance to visit the famous Blue Lagoon hot springs and spa. Your return cruise to Scotland will be broken by a rare but enchanting stop in the tiny Faroese port of Klaksvik – a birdwatcher’s haven surrounded by conical mountains – and calls in the Kirkwall on Orkney and Newcastle upon Tyne. *Book by 30 April 2019. Offer subject to availability & may be withdrawn at any time. 1st person pays the price shown, 2nd person travels free.